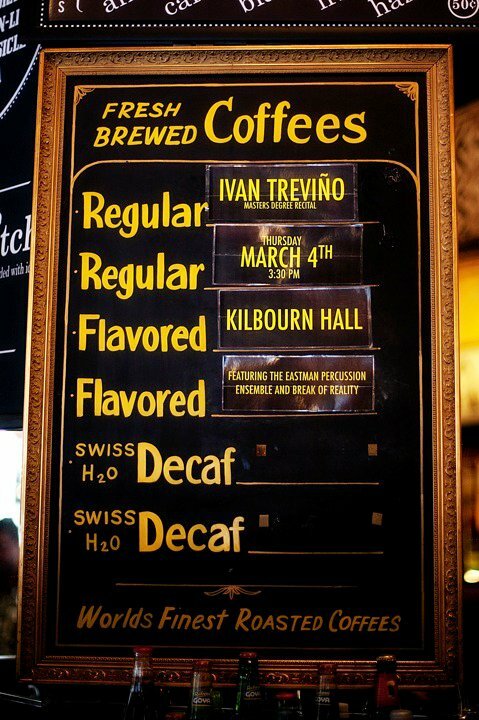 Ivan Trevino – Page 9 – Composer. Percussionist. I have always wanted to write a piece featuring a percussion soloist with a backing percussion group, a la Marimba Spiritual, Mudra, and Shadow Chasers. My new piece Flow does just that! It features a soloist who alternates between snare drum and marimba, accompanied by percussion trio. Flow was commissioned by Dr. Eric Willie, Assistant Professor of Percussion at University of North Carolina Greensboro. 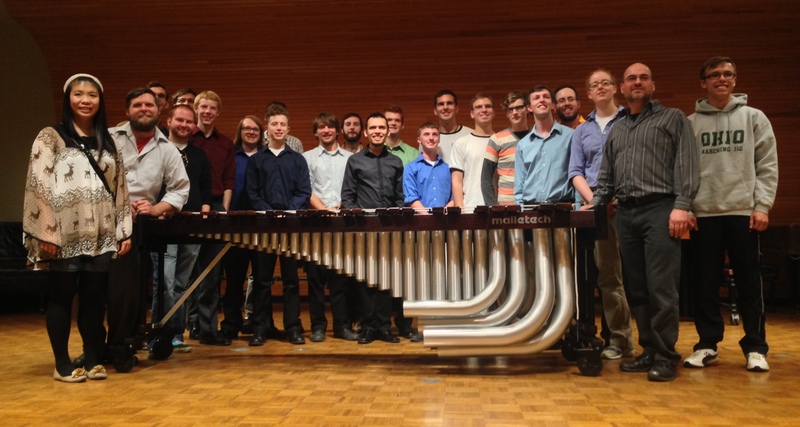 He premiered the piece at PASIC 2013 accompanied by the Science Hill Percussion Ensemble. Below is a video performance of Flow from Eric’s PASIC premiere as well as an audio midi sample. The piece is now available for performance and can be purchased via my sheet music store. I’m so thankful that Eric commissioned this piece. He is such a big supporter of new works for percussion and an absolutely stellar musician. Thank you, Eric! I’ve spent the last year of my life writing and recording a new album called TEN with my band Break of Reality. I am happy to report that the album is officially out and available on iTunes and Bandcamp! I contributed my drumming, percussion-ing, composing and producing on this album, and I think you percussionists out there will especially enjoy hearing a new arrangement of my piece Six, scored for piano, marimba, glockenspiel, drumset and three cellos! Thank you all for your support and happy listening! The cover of TEN featuring the artwork of Lauren Yandell. In the studio with my bandmate Patrick Laird. I recorded drums at Barber Shop Studios in NJ. Great drum room here! From the album release show at SubCulture in NYC. The rock musician won out, and I’m happy to share these videos with you today! Anthem and Dance! both come from a collection of short marimba solos I composed in 2011 entitled Song Book, Vol. 1. Anthem is a straight ahead pop tune. Dance! is inspired by two of my favorite musicians: Argentinian composer Alejandro Vinao and Flea, bassist in Red Hot Chili Peppers & Atoms for Peace. My new sextet Catching Shadows performed live by Eastman Percussion Ensemble! Big hugs to Sarah Persichetti, Sam Um, Emily Park, Max Kanowitz, Sean Lowery, and Jarryd Elias for such a rockin’ performance, and to Michael Burritt & Eastman for commissioning this work. Sheet music now available. Thanks to Mostly Marimba for selling my music at their booth! And, thanks to my wife Amanda for designing these!!! w/ the Eastman crew that premiered my new piece Catching Shadows! Thank you Sam, Max, Emily, Sarah, Sean, and Jarryd! w/ Keith Aleo, an amazing percussionist, educator, and a supporter of my music. Thanks Keith! w/ Aaron Staebell and Amy Garapic at Eastman’s post concert reception. ESM can throw a serious party. Absorbing huge amounts of knowledge from Alejandro Vinao, w/ Chris Jones, Michael Burritt and Mark Boseman. Officially a Malletech artist. WOWZA! w/ Eric Willie, who premiered my new piece Flow with the Science Hill Percussion Ensemble. This guy can play ya’ll! So lucky to have gone to this Third Coast concert at the Indianapolis Museum of Art! w/ Shannon Frier, who was a big help to me at the Mostly Marimba booth! 2+1 reunion w/ Annie Stevens and Andrea Venet! Stoked about all of these albums I brought back home with me! w/ Chris Jones and Maria Finkelmeier. We were Michael Burritt’s first MM class at Eastman in 2008! Brian Stotz (middle) MADE the sixxen that Eastman performed on. w/ Aaron Staebell, Maria Finkelmeier, & Amy Garapic. Michael Burritt, John Beck, and a bunch of their students! Hotel selfie w/ Aaron Staebell, George Clements, and Mark Boseman, three of my best friends and unbelievable percussionists! Thankful to Eric Willie, Michael Burritt, and Julie Hill for programming my music for so many other percussionists to hear. Thankful to Mostly Marimba for allowing a self published composer like me to have some booth space to sell my music. And, thankful to all my friends, new and old, for a wonderful time. Aaron, George, and Mark: Can’t wait for next year guys. Of course, I wanted to do music stuff to make money, but that doesn’t happen right away. “OK world! I have a degree! Give me money!” Not that easy. “We don’t have any barista openings, but we could use an extra person to make sandwiches. We can pay you our hourly rate, and you’ll get a free sandwich whenever you work.” I was sold! Like I said, those sandwiches are GOLD. I was in charge of the tomato-basil-mozzarella sandwich, the Plain Jane chicken sandwich, and a few other “easy” sandwiches. The difficult sandwiches were left to my co-workers, who were WAY faster at making sandwiches; my music skills didn’t translate to sandwich skills… But, they kept me around anyway. “Can’t find a job” and “marimba duo”… Yikes. Thankfully, Amanda was supportive. She thought I could benefit from having a website that I could send along with my job inquiries. So, she helped me put a website together. At that point, I thought I should try and sell sheet music for Into the Air on my website, (to bring in extra money, but mostly to get my music out there). Then, I sold a million copies overnight!!! No one bought my piece, for months. It just sat there. I was a little discouraged and thought about removing my sheet music store all together. But Amanda encouraged me to let it be. “It takes time” she would say. In the meantime, life was getting a little more settled. I was teaching, building up a studio, and writing more music (why not?). I gave the piece to two dear friends (and fantastic percussionists), Mark Boseman and Chris Jones, who gave the world premiere of the piece in early March, 2011 at Eastman. Along with their great performance came a great recording, which I used to replace my toy piano MIDI sounds on my website. THANK YOU CHRIS & MARK. I sold my FIRST score!!! I was SO STOKED! I scurried to FedEx to make copies of the piece and shipped it out to Erik right away, along with an ever-so-thankful email. This started an email thread, where Erik and I talked about my music. He was a student at Ohio University, and wanted to program the piece on a recital. Erik then asked if I was working on other stuff. So, I told him about some other projects I was working on, and we’ve been in touch ever since. Fast forward to present day. I just returned from a three day residency at Ohio University, where I was a guest artist of the school of music. I gave clinics in music business, coached their percussion ensemble, and performed a joint concert of my music with the OU percussion studio. It was AWESOME! My host was Roger Braun, a fantastic percussionist and the percussion professor at OU. Over a Jimmy John’s sandwich, Roger shared with me how OU came to find out about me and my music. 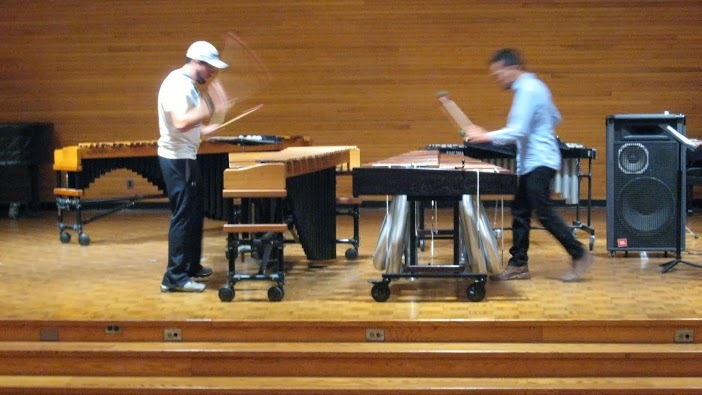 Erik had spread word around the OU percussion studio about my music, and soon other duos were ordering Into the Air, along with some of my other pieces, like Bloom for marimba quartet and some of my solo stuff. Into the Air. I played the piece with Erik Mullins. It was surreal and special. What a small, crazy, amazing world. THANK YOU ERIK. In 2011, I sold exactly four copies of Into The Air. That’s all. FOUR. Anyone in the publishing business would tell you “THAT’S A TERRIBLE NUMBER”. Their video performance has been a HUGE discovery tool for Into the Air. I just searched for “marimba duet” on YouTube, and Gary’s video is one of the first things to come up. Crazy. So grateful. THANK YOU GARY. Ben Andrews was the third person to buy the piece. Ben also gave me a great YouTube performance, and introduced my music to his teacher Phillip O’Banion. Phillip recently commissioned me to write a new multi-percussion solo. How did Phillip find out about my music? Through Ben. THANK YOU BEN. The fourth person to buy the piece was Josh Spaulding, a student at University of Tennessee at Martin. Josh spread my music around his percussion studio, (they’ve programmed Into The Air, Bloom, Six, and 2+1), and sure enough, I’ll be an artist / composer in residence at his school next year, which includes the premiere of a new piece I’m writing for their wind ensemble. THANK YOU JOSH. There have been other contributing factors for Into the Air, like this awesome video performance from Thomas Burritt and Joe Kelly, which has also been a HUGE discovery tool for the piece (THANK YOU TOM & JOE). The piece has been regularly performed by Amphion Percussion Duo and Escape X Percussion Duo (THANK YOU SEAN, PETE, ANNIE & ANDREA). I’ve gone on to record the piece with Michael Burritt. (THANK YOU MIKE) and Mike and Tom Burritt performed the piece last year at the Percussive Arts Society International Convention too. Our music world is SMALL, and people you don’t know can help you. That’s certainly what happened to me. Erik, Gary, Ben, and Josh gave my composing career a foundation and gave me confidence to keep it going. I get lots of emails from performers saying “It’s so nice to actually be talking to the composer!” That’s one of the many reasons I like self-publishing my pieces. There’s no middle man. Just me and the performer. There’s an immediate line of communication which allows me to create a relationship with performers like Erik, Gary, Ben, and Josh. They’re not just numbers on a spread sheet, and I’m not just a name on a score. We’re people having a musical collaboration. The least I can do is open up my email to talk about it. Finally, karma does exist I think. I’m off. That Java’s sandwich is calling my name. Dress rehearsal w/ Erik Mullins at Ohio University. Java’s let me do this when I was a student. THANK YOU JAVA’S. Photo by Kate Lemmon, 2010.